Didn’t I just write something about acts from Montreal having some form of strange, unnameable character? 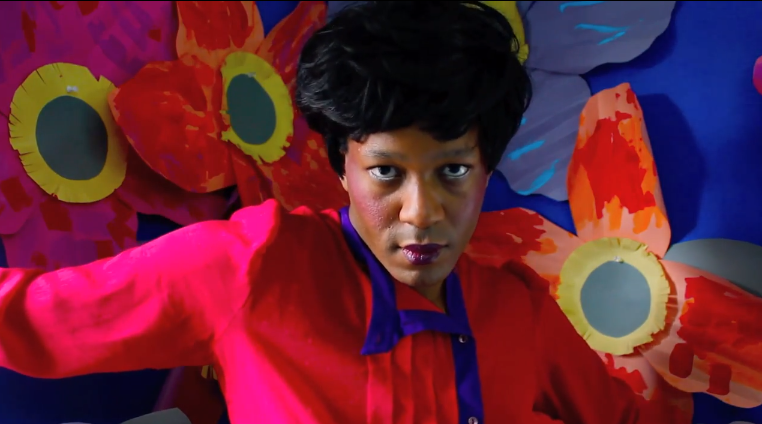 As if to confirm my thoughts, Jef Barbara debuted a new video for “I Know I’m Late,” a single from upcoming sophomore album Soft To The Touch, and it is FABULOUS. Combining the synthetic glam of electro drum machines with a disco vibe, Barbara parades around in a psychedelic schoolhouse throwing unnerving stares around, even leaving the children in a state of slack-jawed awe. The track is simple, catchy and danceable, and the video is too good to waste words on — check it out below. Barbara’s new LP is due out October 1 on Club Roll Music. This entry was posted in Tracks and tagged Club Roll, Jef Barbara by Brandon. Bookmark the permalink.